Leland Cheung is a proud son of immigrants. Having been honored to serve as a City Councillor for the City of Cambridge for over five years, he has developed a sheer appreciation for civic engagement and American values. Leland was first elected to the Council while he was pursuing a Masters in Public Administration at the Harvard Kennedy School of Government and an MBA the MIT Sloan School of Management. 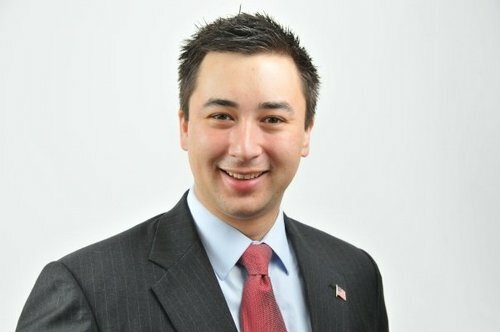 Not only was he the first academic student to be elected to the Council but the first Asian American in Massachusetts. Before he participated in civic engagement, he worked as a Senior Associate at Masthead Partners, a Cambridge-based venture capital firm focusing on digital media, mobile, and internet infrastructure. He utilized this work experience to guide his efforts as a board member of the Massachusetts Technology Collaborative and the National League of Cities. In our interview he discussed his initiatives for Massachusetts, as the next upcoming Lt. Governor, and answered questions from Twitter as well as mine in regards to his personal journey in life and his candidacy. Our biggest topics of discussion (and where his passion truly lies) is innovation and economy. Leland tells me first hand that the main reason on why he ran for City Council in the first place was that nobody on the Council was talking about how to make sure that kids, who grew up in Cambridge, have the opportunity to work for Google or Microsoft which were literally located down the street from public housing. As the next Lt. Governor, Leland wants to make sure that the economy is not just benefiting for a few people (who live in the right zip code), but for everybody–regardless if you have a PhD from MIT, a two-year graduate degree or a GED. He wants to create economic opportunity for everyone. However, the biggest obstacle that he faces, which he also sees in the Commonwealth, is the constant battle between Boston and Cambridge on innovation and economy. As Lt. Governor, he wants to put an end to this nonsense and make sure that everyone in Massachusetts (including Springfield) receives economic opportunity. Today, Leland is happily married to his wife Yin and is a proud father of their 6 month old infant daughter Lela Marie. He is still currently serving as a City Councillor for Cambridge, but he is also serving as an Executive Committee Member of the Massachusetts Democratic State Committee and a member of the Massachusetts Democratic Platform Drafting Committee. He is also a Commissioner on Governor Patrick’s Asian American Commission and is the Massachusetts State Chair of the Democratic Municipal Officials. To listen to my interview, click on the link below.